Contents: Chicken, potatoes (? 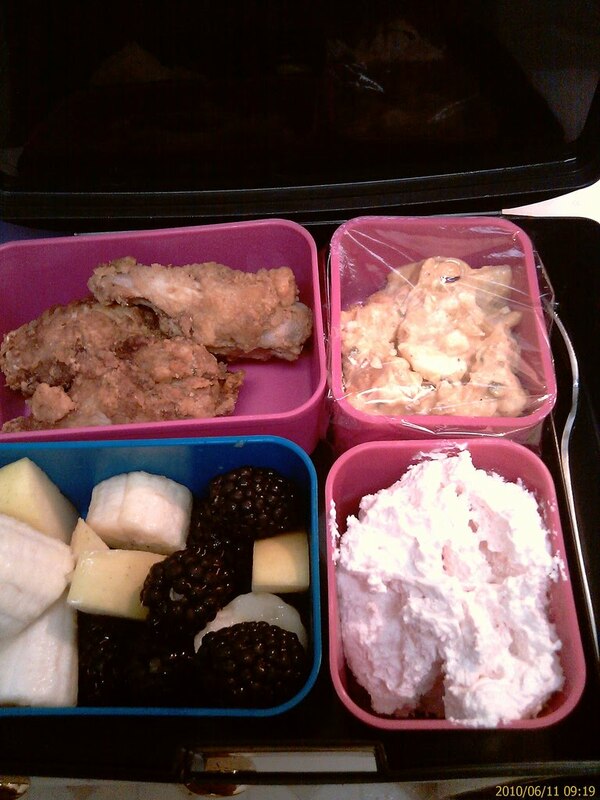 ), fruit dip, and mixed fruit. Notes: Fruit dip: 1 jar marshmallow fluff, 1 container (any flavor) cream cheese, 1 container (any flavor) cool whip. My mom used to make something similar to that, it was delicious. My Mom makes the dip without the cool whip... it's completely awesome.